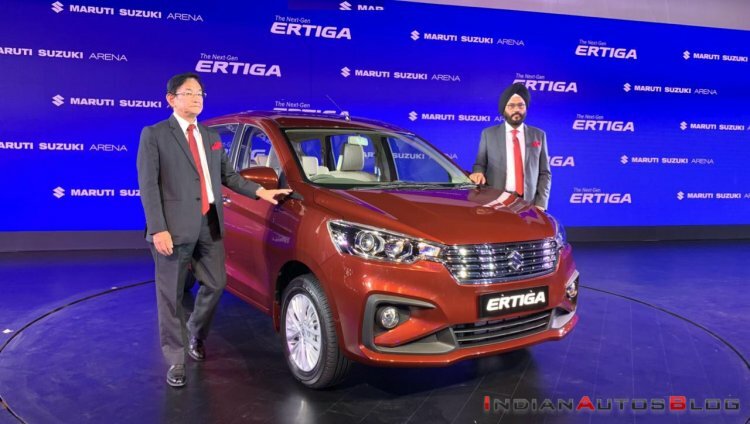 The 2018 Maruti Ertiga has been launched at a starting price of INR 7.44 lakh. The second generation of the company’s popular MPV is available at the company’s Arena retail chain. There are four trim levels – L, V, Z, Z+ - and two engine options - 1.5-litre petrol and 1.3-litre diesel. The 2018 Maruti Ertiga is available in a price bracket of INR 7.44 - 10.90 lakh (Ex-showroom). It is available in L, V, Z, Z+ trims. We are delighted to offer, yet again, a vehicle that re-defines style, space, safety and comfort. The new gen Ertiga has been designed with thoughtful features and great attention to detail, keeping in mind the requirements of our ever evolving customers. The latest avatar successfully combines the revolutionary technology and premiumness that Maruti Suzuki promises to its customers. 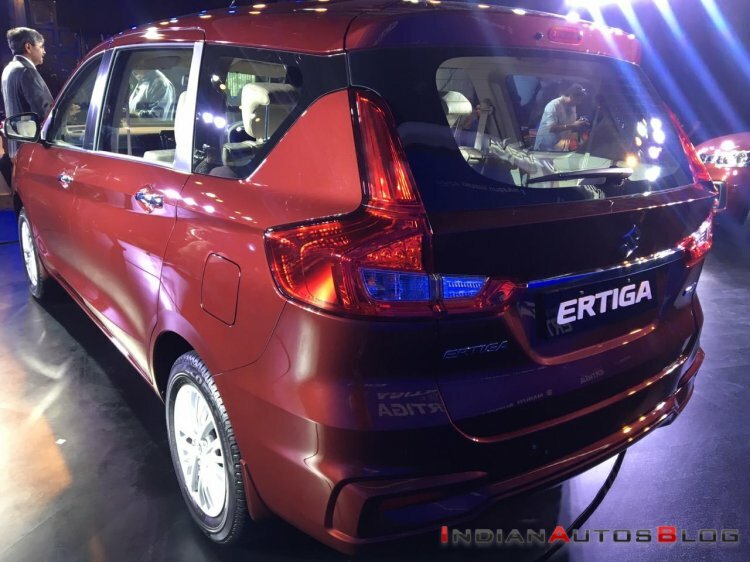 The 2018 Maruti Ertiga measures 4,395mm in length, 1,735mm in width, and 1,690mm in height. It’s 99 mm longer, 40 mm wider, and 5 mm taller than its predecessor. The wheelbase, at 2,740 mm, remains unchanged. The interior offers more legroom and shoulder room, and a flexible luggage area. The second row of seats comes with One-touch recline and slide mechanism, while the third row of seats offers a 50:50 split and fold, and recline feature. The new model has a boot space of 209-litres, which is expandable up to 803-litres. The equipment list of the top-spec Z+ trim comprises a Smartplay touchscreen infotainment unit that supports Apple CarPlay and Android Auto, chilled cup holders, multi-function steering wheel, automatic climate control, and roof-mounted rear aircon vents. The standard safety net on the new model includes ABS with EBD and Brake Assist, dual front airbags, front seatbelt reminder (SBR), ISOFIX child seat anchorage, and reverse parking sensors. The new model is compliant with the frontal offset impact, side impact and pedestrian protection regulations. The petrol version of the 2018 Maruti Ertiga shares its 1.5-litre K15B engine with the Ciaz (facelift). The new motor outputs a maximum power of 77 kW (104.69 PS) @ 6,000 rpm along with a peak torque of 138 Nm @ 4,400 rpm, an increase of 11 PS and 8 Nm over the earlier version’s 1.4-litre K14B engine. The 1.3-litre D13A diesel engine of the earlier model has been carried over to the new version. It outputs 66 kW (89.73 PS) @ 4,000 rpm and 200 Nm @ 1,750 rpm. Both options are available with a 5-speed manual transmission as standard. Additionally, the petrol engine is available with a 4-speed automatic unit. The engines are equipped with the SHVS mild hybrid technology with a dual-battery setup on the petrol variant. Coupled with the lightweight HEARTECT platform, this feature enables the new model to offer a higher fuel efficiency than its predecessor. The petrol engine delivers 19.34 km/l* with the manual transmission and 18.69 km/l* with the automatic unit. The diesel version offers 25.47 km/l*. While the earlier version's platform has segmented frames, the new-age platform of the 2018 Maruti Ertiga offers connected structures that boost the lower body stiffness. The body frame comprises mostly ultra-high-tensile steel, which leads to significant weight savings, as per the company. While the 2018 Maruti Ertiga is 99 mm longer, 40 mm wider, and 5 mm taller than its predecessor, its wheelbase, at 2,740 mm, remains unchanged. The 2018 Maruti Ertiga is available in 5 colours - Pearl Metallic Auburn Red (New), Metallic Magma Grey, Pearl Metallic Oxford Blue, Pearl Arctic White, and Metallic Silky Silver.